An alien rockstar/cop helps a young boy discover his destiny, while that same boy struggles to define himself in a world seemingly gone mad. That’s probably the easiest way to describe FLCL (also known as “Fooly Cooly” or “Furi Curi”), the cult anime show from Gainax and writer Yōji Enokido and director Kazuya Tsurumaki. A cryptic and kinetic experience that only lasted six episodes (though more are soon on the way), the show is equal parts madcap comedy, metatextual treatise on anime and manga tropes, and the coming-of-age story of its central protagonist. 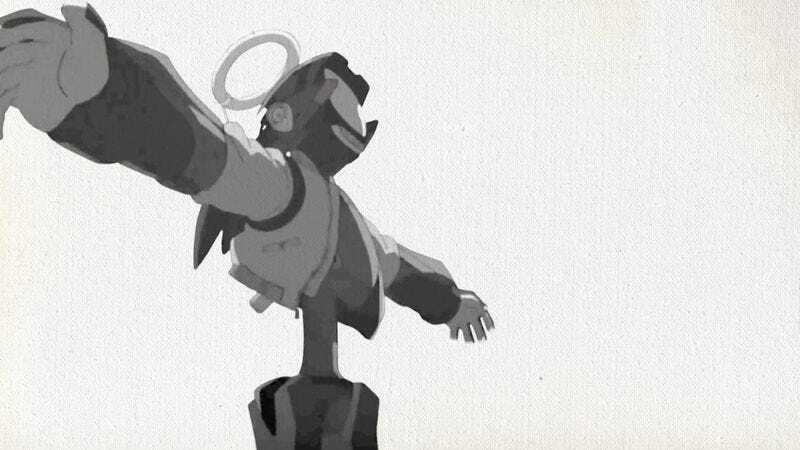 It’s that last part that concerns a new video essay about the hidden (or not so hidden) depths of FLCL. YouTuber KaptainKristian (a.k.a. Kristian Williams) posted “FLCL—Journey To Maturity,” which examines how the anime program isn’t so much about adulthood as it is the adolescent’s views of impending adulthood. The conflicting feelings of having to be mature, stoic, and emotionally stable are at war with his burgeoning hormones and desire to not put away childish things. It’s a very perceptive look at the series that many people probably write off as childish or too frenetic for its own good, but Williams argues that’s all part of the lead character’s journey into adolescence. It’s easy to forget those in-between years of 12-year-olds, simply writing them off as awkward, but they’re a chaotic time where it’s hard to know how to define oneself amid all the internal turmoil, dreams of the future, and overarching fears of the changes one goes through. FLCL is many things to many people, and that’s due to the creators’ multiple targets and themes; but it’s also a perfect representation of an incredibly uncertain time in people’s lives… albeit with more head explosions and robots.